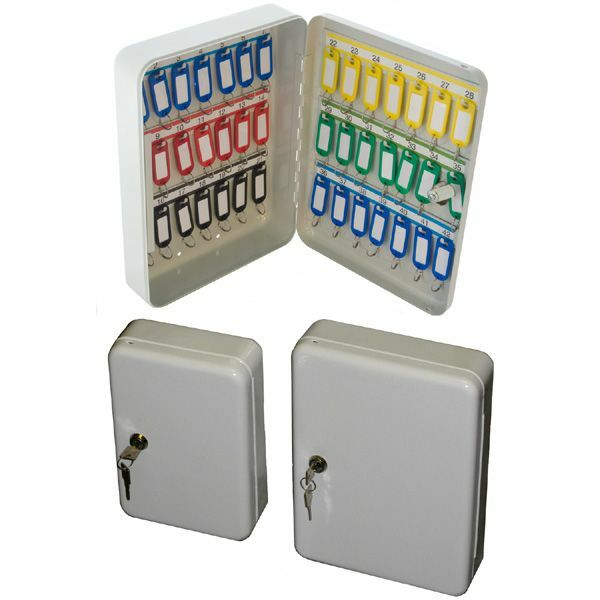 Available with a choice of "keyed" or "digital combination" lock, our range of budget priced key cabinets are finished to a high standard, so you won`t find any sharp metal edges to cut yourself on. 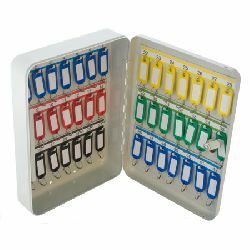 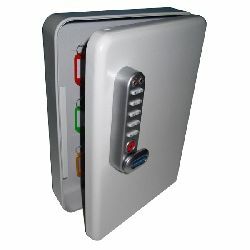 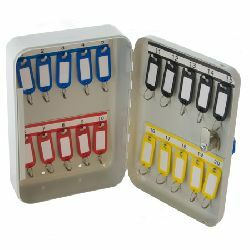 The cabinets feature fixed key hook bars and each cabinet is supplied with a full population of coloured and numbered key tags, plus a set of self adhesive number strips, to stick above the rows of key hooks. 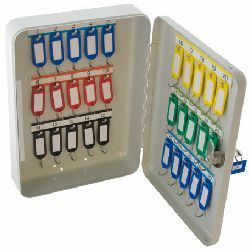 For details of all our key cabinets, see our Premier Key Cabinet Range, which include units with adjustable key hanging bars, glazed see through doors - so you can easily identify if a key is missing even while the door is locked, and higher capacity units.